It’s Day Eight and the second week of our HUGE Singletrack Advent Calendar Christmas Countdown Competition Giveaway Bonanza! No idea what we’re talking about? Look here to see all of the prizes available for you to win throughout this week. Missed last week? 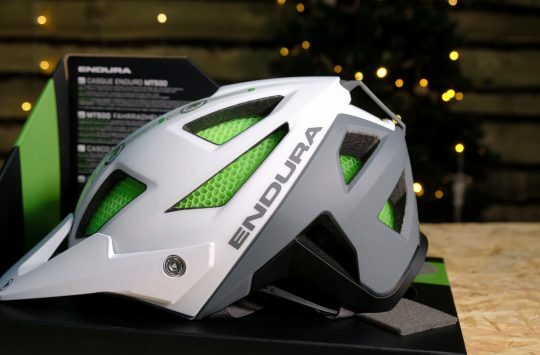 Need more gift ideas for the cyclist in your life? Then check out what you missed in week 1. 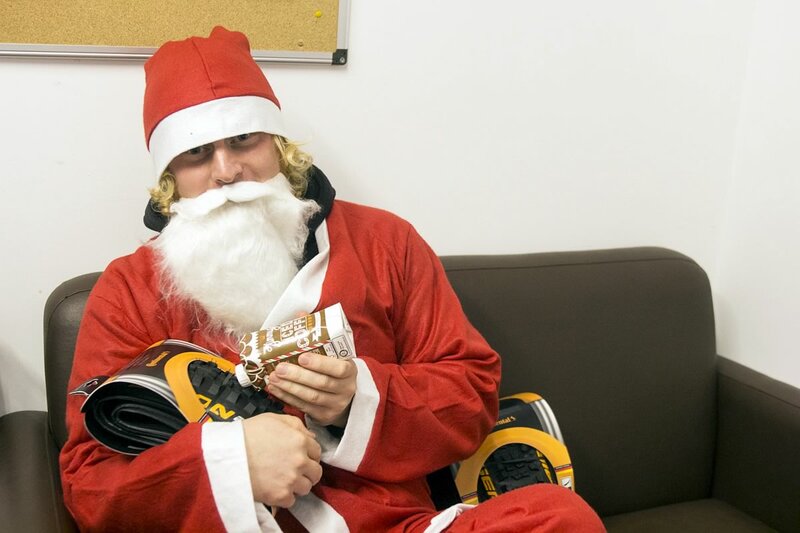 Is Santa feeding that Continental tyre an iced coffee? The Singletrack office enters a new world of weirdness. So technically, we actually have two gifts to give away today. 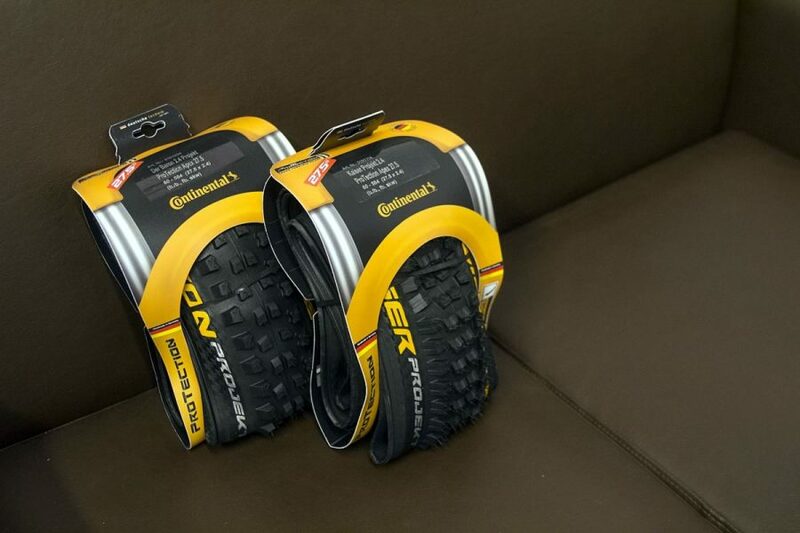 Yep, the lucky competition winner will win not one, but two Continental tyres worth £59.95 each. If you need the help of a calculator, that’s a combined worth of £119.90 (no need to thank us). 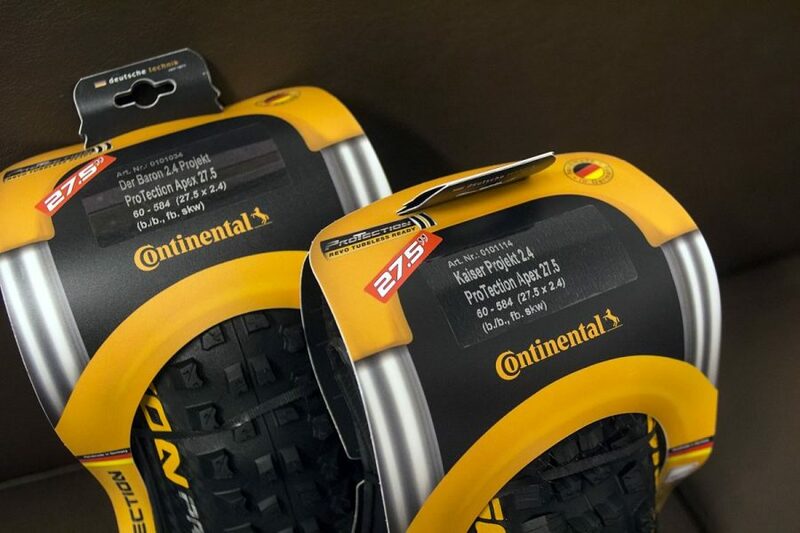 The two tyres in question are the top-level Enduro treads from German tyre manufacturer, Continental. There’s 1 x Der Baron, and 1 x Der Kaiser, with both tyres coming in a 27.5 x 2.4in size. 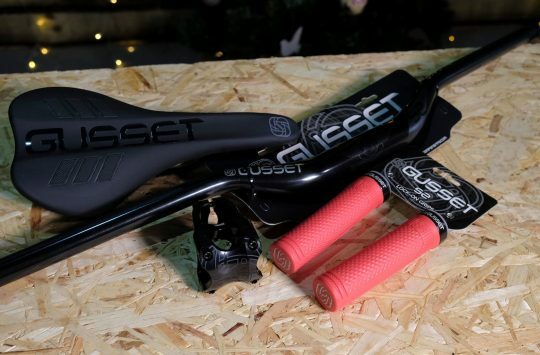 They’re built with the uber-sticky Black Chili rubber compound, which is wrapped over a super tough 4-ply Apex casing that offers DH-like strength and puncture resistance, with the weight of a folding tyre. If you want your bike to stay stuck on super rough and steep trails, then these are the right tyres for you! Sticky rubber from Continental in the form of the Der Kaiser and Der Baron treads. For all your ENDOOOORO needs! That’s nearly 120 quid worth of fresh rubber right there! And probably less than 60 quid worth of faux-leather sofa. (Note: faux-leather sofa not available to win). Want to win these tyres? Well good news, because you it’s FREE to enter! Get notified instantly when we are next live on Facebook – Like us! Email competition@singletrackworld.com with the subject line: ‘Gift Giveaway Day 8‘. The answer to the question: Who is on our tree today? But wait, THERE’S MOAR! Do that, and not only will we enter you in the draw to win today’s gift giveaway, but we’ll also give you one entry into the Great Big Box Of Year Round Love giveaway. Also known as the Singletrack Mega Sack Of Awesomeness, this is a box containing one of everything we give away each day. It’s a big box! As a bonus prize, whoever wins the Great Big Box Of Year Round Love will have the option of joining us here for a day of coffee, riding, coffee, tea, fish and chips, and maybe even a cheeky beer. 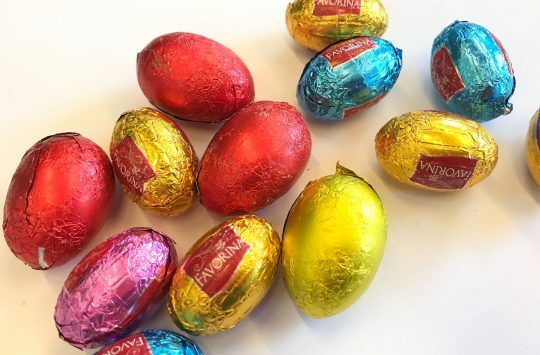 Please note that we can only post prizes to UK postal addresses, see here for full terms and conditions. Want to be notified when we’re live so you can get entering straight away? Then click here! Poll: How Do You Get To Non-Local Trails?